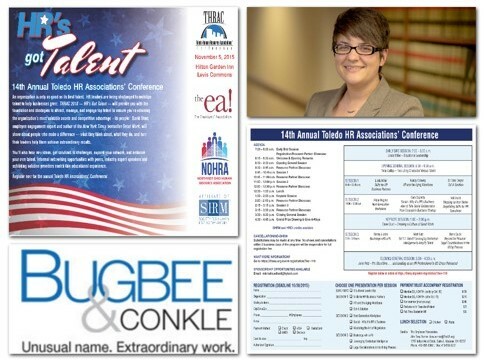 Attorney Dana Quick is a featured speaker at the Toledo Human Resource Association’s Conference on Thursday, Nov. 5th at the Hilton Garden Inn, 6165 Levis Commons Blvd, Perrysburg, OH. Dana’s presentation, “Beyond the Resume: Legal considerations in the hiring process” will examine: the use of criminal records in the hiring process; understanding employer responsibilities under the Fair Credit Reporting Act; identifying potential relations accommodations; and understanding employer responsibilities to transgender employees. You can register for the annual conference hosted by the Northwest Ohio Human Resource Association and the Employer’s Association here.